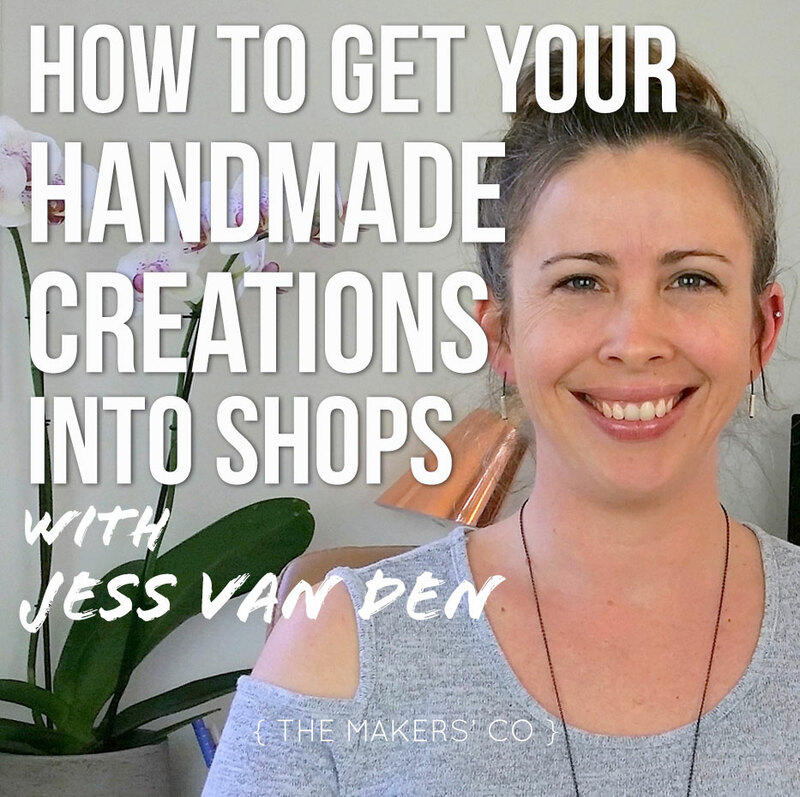 Are you thinking you’d like to get your handmade creations into brick & mortar retail stores… but you don’t know where to start? Getting your work out into the ‘real world’ via retail stores is a great way to grow your business – and also to grow recognition for your brand. 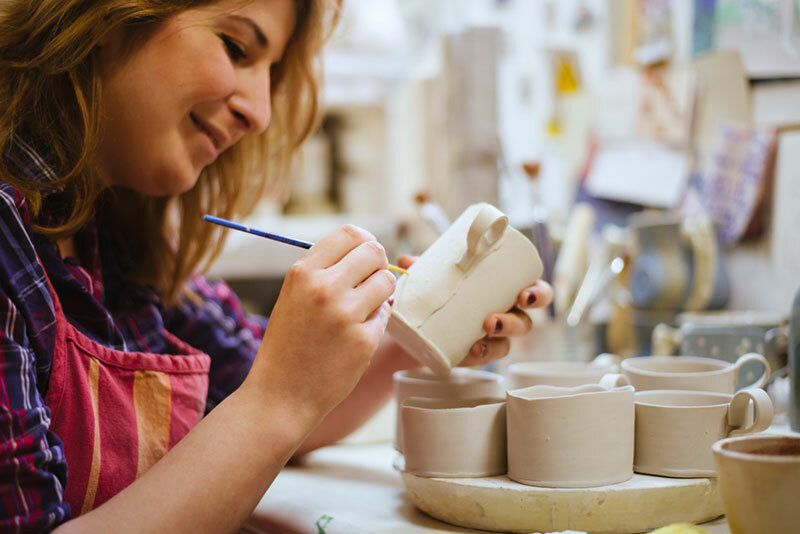 Having your work in shops also gives your business a sense of ‘legitimacy’ which is a great boost if you’re still in the startup phase. There are a couple of vital steps you need to take before you even start reaching out to shops. First – start by researching your local area/state/country. It might be easier to start selling to local shops that you can build a relationship with. But, if there’s nothing near by that fits your work don’t be afraid to look further afield. Before you even think about reaching out to a shop, make sure you have a good understanding of the style of product they sell, and who their target customer is. If you can’t visit the shop, you should be able to get a decent idea of this from their website and social media. Make sure you are clear on why your work will be a good fit for the shop – because that’s what you’re going to be telling the owner/buyer when you reach out to them. Create a spreadsheet and start writing in the shops – keeping track of their name, address, the owner’s name, email address – and, as you progress, you’ll keep track of when you contact them, too. The next step is to get a clear terms & conditions document prepared – you’ll be sending this out to potential customers, and it will save a lot of headaches down the line. Include information like: what’s your turn-around time from order to shipping? What’s your payment policy? (I recommend full payment up-front the first time you sell to a new store – you can change this to half-half or payment on delivery later if you decide to). What’s your wholesale order minimum? Is it a dollar amount or a product number? Do some research on what other people in your industry are putting in their T&C documents, as there may be things specific to the type of product you make. A google search of ‘ …. your craft…. terms & conditions’ or ‘… your craft… policies’ should give you some good results. Your line sheet may be a document, or you may instead choose to have a wholesale buyer’s website where you have all of your products available. Whatever way you choose to go, have it set up and functional before you start reaching out to potential customers. You need to have simple, clear product photos, concise descriptions, and wholesale prices. You can include a Recommended Retail Price (RRP) – but realise that it is generally up to the individual shops as to what price they eventually put on your product. For a lot more detail on line sheets, check out this post by Indie Retail Academy. Now, it’s time to start reaching out to shops. Let’s talk about the best way to go about that! Start with an email – but keep it brief! The absolute best way to first reach out to a shop is via email. Don’t just walk in. Don’t call. Make the first approach softly softly – so that they can read your email and check your work out without feeling pressured. No-one likes the hard sell. If you don’t get a reply straight away – don’t panic. Don’t take it personally! It’s business, and retailers are busy people. Follow up in 1 week with a friendly reminder email – in this, perhaps offer your phone number (if you didn’t already, and you’re comfortable with that) and invite them to call you if they have questions. Still nothing? Leave it be for at least a month. Then, try again. If you’re not getting a response, don’t lose all hope – just pop that shop down in your spreadsheet for a follow-up contact in 6 months time or so – and move onto the next shop! But, hopefully, some shops will start getting back to you with a positive response! At this point, you’ll want to send them your linesheet/link to your online wholesale site, and go from there. There’s a lot more to learn about successfully selling wholesale, but I hope this post has given you a bit more of an idea of how to get started. You can get even more tips in my free ebook ‘10 Steps to Wholesale Readiness‘, available as part of my Handmade Business Toolkit, right here.